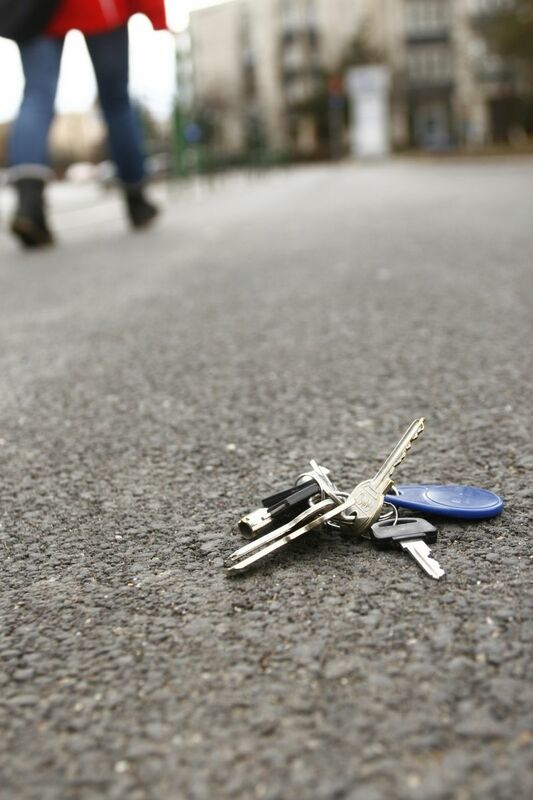 Losing your car keys can be more than just inconvenient; it can also be expensive. But what can you do to avoid the expense of buying a replacement set of keys. The best thing of course, is to not lose them in the first place, but a recent survey found that 26 percent of drivers have suffered such a mishap, and one in 20 has been a victim of car key theft, according to leading car insurance research. Of those losing their keys, one in five misplaced them at work, 15 percent during a shopping trip and 13 percent while visiting friends or relatives. Among those with stolen keys, 19 percent were taken from a bag while more than one in 10 stolen from inside the car. Lost or stolen keys can prove expensive and increasingly advanced car key systems mean the cost of getting a spare set has been rising. Call your local specialist Auto Locksmith who will be able to help obtain a set of replacement car keys for whatever vehicle (motorbike, car, van, truck, scooter etc...) you have. Remember an Auto Locksmith can help you with any type of vehicle from a car, van, truck, motorcycle to even a caravan. So if you need new vehicle keys or car keys programming contact your local auto locksmith. What models of car keys can an Auto Locksmith help you with? Most auto locksmiths will be able to help repair/cut/replace/program car keys for any model of vehicle. Click here for the list of models we cover! Most auto locksmiths will be able to help you out with other models of car keys not listed above, if they cannot help they will be able to recommend somewhere for you. What other lost vehicle keys can an auto locksmith help with? Transponder Chip Keys – all keys made after 1995 are legally required to be fitted with an immobiliser system. This will require a transponder key, which has an embedded electronic transponder chip in the key to start the vehicle. If the key is broken or lost – then you won’t be able turn the ignition therefore the vehicle will not be able to start, so you will need a replacement transponder chip. I need a spare transponder key, can an Auto Locksmith help me or do I need to go to my main dealer? Yes most auto locksmiths can duplicate transponder (micro chipped keys) keys and therefore are able to help. In fact a lot of main dealers now use the services of auto locksmiths to provide this services themselves. Again contact your local auto locksmith who will either clone what you have or program a new one. An Auto Locksmith will need to reprogram the vehicle so that the old keys are no longer useable. Depending on the age of the vehicle – door locks and ignition barrel may need to be reconfigured. This depends on the type of key and if the auto locksmith has the blank in stock or if they need to order it. Most jobs can be completed within the hour, with more complicated work taking 2 to 3 hours. The answer is not necessarily as an auto locksmith may be able to either reconfigure the existing locks or deleting the existing keys from the vehicles computer memory. Do I need to take my car to the Auto Locksmith? Again not necessarily because a lot of Auto Locksmiths provide a mobile service and will be able to travel to you and do the work onsite, at your home or place of work, anywhere even if you are just stranded at the side of the road. There is no governing body for locksmiths and so there is no defined pricing structure that locksmiths have to follow. We recommend getting a quote from various locksmiths in your area who more often than not will be cheaper than your local car manufacturer’s dealer, you can do this by using the internet to search for local specialists, or by recommendation from a local dealer or garage. The average cost of replacing a set of car keys at dealer prices. These prices can in many cases be halved, if a good local independent Auto Locksmith is used. If your car key is lost or stolen you may be able to claim for the cost of a replacement on your policy. Some insurers offer key cover automatically on their standard car insurance policies, some offer unlimited cover and some will pay up to £750 if your keys are stolen. Check to see if you’re covered. Key cover exists as a stand-alone policy from specialist companies, it’s also offered as an "add on" to existing. Option 1: Use the Car Dealership or Car Manufacturer. Option 2: Do it yourself via EBay or shopping online. Same day service, no recovering of your car to a dealer. Whatever you decide, treat your keys as valuable possessions; don't leave your car keys so they're easy to find in the house. It's also a good idea not to keep your key with your name, address or registration of the car. Have nothing that identifies where you live or who you are. If you have any further questions please call us on 01392 409449.